SP Setia Bhd, the country's biggest property developer in terms of sales, has bought a piece of land in Melbourne, Australia, for A$30 million (RM90 million). Its wholly-owned subsidiary, Setia International Ltd, signed a deal yesterday to buy the 4,340 sq m land, held under several certificates of titles, from S.L. Nominees Pty Ltd and Jonquil Pty Ltd. It plans to develop a high-density inner city integrated residential and commercial project on the land. The deal was brokered by Savills Australia following a tender process. According to Savills, there was strong interest from local and offshore buyers, but SP Setia offered the best combination of terms and corporate strength which the sellers were looking for. The group plans to finance the purchase with internally generated funds and external borrowings. "Barring unforeseen circumstances and subject to Australia's Foreign Investment Review Board approval, the proposed acquisition is expected to be completed in the financial year ending October 31 2010," SP Setia said in a filing to Bursa Malaysia yesterday. The group targets to launch the project within 18 to 24 months of the date of acquisition. "The land is strategically located in the central spine of Melbourne's central business district, between A'Beckett Street and Franklin Street and between Elizabeth and Queen Streets. "The site is a short walk to Melbourne's central shopping centre and railway station, and is close to the Queen Victoria Market." SP Setia said the close proximity of the site to several premier Australian universities and colleges will enable the group to monetise its Malaysian customer base, many of whom have sent their children to further their education in Melbourne and have invested, or are looking to invest, in properties there. Based on the 2006 census published by the Australian Bureau of Statistics, it is estimated that 29,174 Malaysian-born individuals now live in Melbourne. SP Setia declined to reveal the expected gross development value or profits, saying only that the project "will offer a development potential which is at least equal to that of a similar project in Kuala Lumpur". "Along with international expansion, the group will also continue to focus on acquiring new landbank in Malaysia for growth and reinvestment, given the many opportunities which still exist at home," its president and chief executive officer Tan Sri Liew Kee Sin said in a statement. DUBAI: Malaysian contractors are currently working on 51 projects worth US$10bil in the Middle East and are eyeing for more amid a projected upswing in construction demand. The majority of projects are in United Arab Emirates, Saudi Arabia, Qatar, Bahrain, Oman, Syria, Iran, Jordan and Yemen, the Malaysia External Trade Development Corp (Matrade) said in a statement yesterday. In value terms, the Middle East contributed the highest share of 42% among the 614 overseas projects worth US$24bil in which Malaysian contractors have been involved from 1997 to 2009. “Malaysian expertise in infrastructure building has been deployed in 73 projects across the Middle East, including landmark initiatives such as Burj Khalifa, Al Reem Island, Dubai Metro, Dubai Mall and Meydan Race Course,” Matrade chief executive officer Datuk Noharuddin Nordin said in the statement. Construction companies in Malaysia foresee substantially improved demand from the Middle East as infrastructure outlay continued to top national budgets, it said. Matrade cited a Business Monitor International study forecasting that the global construction industry could grow between 1% and more than 5% up to 2014. The projected increase was on account of growth expectations in the Middle East, North Africa, China and India. Matrade said Malaysian construction companies, which already have an international project portfolio of US$15bil, were aiming to lead the revival in key markets. To seek further inroads in the Middle East, the Malaysian construction sector will attend the third Malaysia Services Exhibition (MSE) 2010 to be held at the Dubai International Convention and Exhibition Centre from April 13 to 15. “The unique advantages we offer in terms of resources, skills, quality, cost and experience in mega projects give us a competitive edge over leading providers in the United States, Europe and other Asian countries,” Noharuddin said. Organised by Matrade, MSE 2010 will showcase the world-class capabilities of Malaysian companies specialising in eight service clusters: professional services, oil and gas, construction, information and communications technology, healthcare, franchising, education and specialised training, and financial services. The three-day exhibition will be attended by 150 establishments including 130 service providers, 12 professional associations and eight government agencies. A major addition to Malaysia’s construction services portfolio at MSE 2010 will be environmentally friendly architecture and engineering. PETALING JAYA: Malaysia Pacific Corp Bhd (MPC) and Beijing Construction Engineering Co Ltd are planning to undertake the construction and financing of two property projects in Iskandar Malaysia, Johor. In a statement to Bursa Malaysia, MPC said its subsidiary LakeHill Resort Development Sdn Bhd and Beijing Construction had last Friday signed a letter of intent to evaluate the development and financing of Lakehill Resort City and Aptec City. It said once Beijing Construction had evaluated the plans, the detailed terms and conditions of contract or contracts would be signed in the presence of both governments. It added that Beijing Construction, which was one of the largest state enterprises of China, was among the largest construction and engineering companies in China where it had undertaken many major construction projects. MPC said the letter of intent would map out the basis and the roles of the parties in pursuing the project, with a view to enabling Beijing Construction to hold discussions with third parties such as the Iskandar Regional Development Authority, Johor government and other relevant ministries. KUALA LUMPUR: EPF contributors should hold off using the money in their Account II to buy a house until the new scheme which would enable them to obtain a higher housing loan is implemented. Chief executive officer Tan Sri Azlan Zainol said while EPF was keen to launch the scheme as soon as possible it had to wait until the banks were ready to implement it. “The banks are studying it. In principle, they are agreeable,” he told reporters at the International Social Security Association (ISSA) technical seminar here yesterday. During the tabling of the Budget last October, Prime Minister Datuk Seri Najib Tun Razak had announced that the government would launch a scheme to enable EPF contributors to utilise current and future savings in Account II in January this year. Najib said the scheme, which would enable EPF contributors to be eligible for higher financing to purchase higher value houses, was limited to a purchase of one house at any one time and subject to conditions stipulated by EPF. 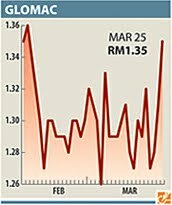 During the tabling of the Budget, Najib had also announced the establishment of the 1Malaysia retirement savings scheme where, as an incentive, the Government would contribute 5%, subject to a maximum of RM60 per annum for every RM100 contribution in addition to the existing dividend paid by EPF. This scheme is for the self-employed and those without fixed income such as taxi drivers, hawkers, farmers and fishermen, who retire without pensions or any form of EPF savings. Azlan said the 1Malaysia retirement scheme had received encouraging response; it had recorded RM3.4mil in total savings from 8,000 contributors since its establishment on Jan 2. Of them, 3,000 are self-employed traders. While contributors can contribute a minimum of RM50 or a maximum of RM5,000 to the scheme monthly and may withdraw their savings upon attaining the age of 55, the Government’s contribution is only for five years. YTL Corp, Malaysia’s biggest builder, plans to develop a “prime real estate” in Asia, Chief Executive Officer Tan Sri Francis Yeoh said in Kuala Lumpur today. He also said it’s time to take a more “sizeable bite” in Japan’s property market. BOLTON Bhd yesterday entered into a deal with Intrapuri Sdn Bhd to acquire a piece of land in Jalan Peel, Kuala Lumpur, for RM39 million cash. It will develop medium high-end service apartments on the 2.2ha property, with an estimated gross development value and gross development cost of RM280 million and RM220 million respectively. Development of the property is expected to commence on completion of the proposed acquisition and after obtaining all the approvals from the relevant authorities, with an estimated development period of five years. PETALING JAYA: Bolton Bhd via subsidiary Bolton LYL Sdn Bhd has agreed to buy about 5.5 acres in Kuala Lumpur for RM39mil cash from Intrapuri Sdn Bhd. It told Bursa Malaysia the proposed development of the land would consist of medium high-end service apartments with podium car parks and facilities with an estimated gross development value and gross development cost of RM280mil and RM220mil respectively. It added that the development was expected to commence upon completion of the proposed acquisition and after obtaining all the approvals from the relevant authorities with an estimated development period of five years. The development cost would be financed through internally generated funds and bank borrowings, it said. MALAYSIA Pacific Corp Bhd has teamed up with Beijing Construction Engineering Co Ltd (BCEGC), one of China’s largest construction and engineering firms, to study the development and financing of the proposed Lakehill Resort City and Aptec City projects in Johor’s Iskandar Malaysia. A letter of intent was signed last Friday, which allows BCEGC to proceed discussions with relevant third parties such as the Iskandar Regional Development Authority, the Johor state government and other relevant ministers. PETALING JAYA: The ongoing due diligence audit at Kuwait Finance House (M) Bhd (KFH Malaysia) has not interfered with the bank’s aim to step up its investment portfolio in Malaysia. A delegation from its parent company, led by Kuwait Finance House Group chief executive officer Mohammed Sulaiman Al Omar, recently met Prime Minister Datuk Seri Najib Razak and his deputy Tan Sri Muhyiddin Yassin to discuss the group’s intention for further investment in the country. Specifically, the group is interested to spearhead the establishment of a world-renowned university in Medini Iskandar located in Iskandar Malaysia. KFH Malaysia chief executive officer Jamelah Jamaluddin, who was appointed less than two months ago, said it was “business as usual” for the bank despite the ongoing due diligence audit. She said the process was aimed at obtaining an accurate picture of certain transactions and contractual arrangements that had been undertaken over the years. “This will facilitate a clear perspective of our operations and business to enable us to move forward,” she said in a statement yesterday. Jamelah said some employees had taken leave to facilitate the exercise and internal re-organisation with the objective of strengthening the bank’s credit team and processes with the intention of improving asset quality. “The bank will always be guided by pragmatism and act according to the recommendations of the audit team,” she said. Following the ongoing due diligence audit, RAM Ratings placed the AA2/P1 financial institution ratings of the bank on negative rating watch on March 26. This is because the audit heightened concerns on the potential for further deterioration in the bank’s asset quality and credit fundamentals. RAM Ratings had a negative outlook on the financial institution ratings of KFH Malaysia last November, based on the deterioration in the financial metrics of both the bank and its parent. RAM Ratings said pending comprehensive review, it would maintain close monitoring of the pertinent developments and reassess the ratings when more conclusive information was made available. Jamelah said the bank also wanted to ensure that its employees were put in positions where their strengths would be fully utilised in line with its talent management strategies. “We have a strong team in place and it is business as usual for the bank. 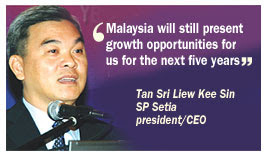 In fact, we are stepping up our investments in Malaysia. “Our capitalisation, which is equivalent to US$650mil provides us a strong footing for the bank to expand its portfolio,” she said. In the same statement, Mohammed Sulaiman said KFH reaffirmed its commitment in its business strategy of fully taking advantage of the enormous opportunities in Malaysia and becoming a partner in Malaysia’s economic growth story. “We are excited and keen on the country’s new economic model and remain positive on the outlook of Malaysia as it will be the platform for our expansion into the Asia-Pacific region. “We want to play a vital role in the development of real estate projects in the Asia-Pacific region as well as the introduction of new Islamic financial products,” he said. FH Group’s interest in the establishment of the university in Medini Iskandar is in line with its vision to have world-class educational institutions in adopting the university of the future concept there. KFH Malaysia led a consortium to invest about US$329mil in Medini Iskandar via Medini Central Sdn Bhd in 2008. HANOI: The Lion Group plans to open more Parkson shopping centres in Vietnam, to maintain the chain's development as well as expand their retail network, according to Vietnam news agency today. Till today, the group manages 82 Parkson stores, with five in Vietnam, 42 in China and 35 stores in Malaysia. Parkson is a popular department store company in Malaysia which offers items such as fashion, jewellery, cosmetics, furniture, electric goods and food. Besides the Vietnamese and Chinese markets, Lion plans to enter the Cambodian and Indonesian and other Asean markets at the end of 2011. KPJ Healthcare Bhd is looking into expanding its network aggressively in Asia beginning next year through acquisition, joint venture and management contract. The destinations being considered were Indochina, India, Bangladesh, Pakistan and possibly Middle East, Managing Director Datin Paduka Siti Sa'diah Sheikh Bakir told reporters on the sidelines of Invest Malaysia 2010 Conference in Kuala Lumpur today. "We have received a few offers from these countries and currently, KPJ is reassessing the offers. We hope to finalise them by end of this year to be able to kick off the plan next year onwards," she said. KPJ presently owns 20 hospitals in Malaysia and two in Indonesia. It also manages two hospitals in Jeddah, Saudi Arabia. For this year, Siti Sa'diah said, KPJ would only focus on domestic expansion and was in the midst of building two hospitals in Klang and Muar. On the Al-Aqar KPJ Real Estate Investment Trust (REITs), she said KPJ hoped to complete the exercise of injecting three other hospital buildings (one in Indonesia and two in Malaysia) into REITs by June this year. The company was waiting for the approval from the relevant authorities. "This exercise creates more opportunities to acquire more hospital buildings, in particular in Indonesia, for further REIT injection," she said. To date, KPJ has injected 18 hospitals and a nursing college building into REITs. Meanwhile, she said KPJ had allocated about RM100 million to expand its existing hospitals and to upgrade facilities in Malaysia. With the increasing demand for private healthcare services and its expansion plans locally and abroad, KPJ is confident to achieve a revenue of RM2 billion by 2012. Currently, KPJ’s market capitalisation is RM1.5 billion and hopes to increase it to RM2 billion. Despite the generally soft sentiment in the commercial property market, there are a number of projects underway in Kuala Lumpur and the Klang Valley slated for completion over the next two years. Most of these new retail projects are of smaller scale and located in the suburban areas. Subang Avenue in Subang Jaya has an estimated net lettable area of 250,000 sq ft, SSTwo Mall in SS2 Petaling Jaya (463,000 sq ft), 1 Shamelin in Cheras (420,000 sq ft), Citta Mall in Ara Damansara (424,000 sq ft), Solaris 2 in Dutamas (300,000 sq ft) and Viva Homes in Jalan Loke Yew (688,000 sq ft). In Kelana Jaya, a new project Taragon Kelana Commercial Centre was launched last week for completion in the third quarter of 2011. The project by Blackstone Seven Sdn Bhd, a unit of Allstones Group Asia, comprises five retail lots, eight blocks of shop offices and 60 office suites with a gross development value of RM80mil. Located on 1.1 acres, it is targeted for completion in the third quarter of 2011. Allstones chairman K.H. Sim says the office suites range from 1,045 sq ft to 1,388 sq ft and priced at RM407 per sq ft. Every unit comes with a free carpark. According to Sim, more than 60% of Taragon Kelana has been sold. “The trend for small businesses now is to own their offices in a secured environment instead of renting in upper floors of shop houses. This is a niche market we are targeting,” he says. DTZ Research, in its latest Property Times report, says while prospects in the retail sector are positive, rentals are expected to remain soft especially in the suburban areas given the completion of more new shopping centres. The lively food and beverage sub-sector continues to provide support to rental rates. CB Richard Ellis Malaysia executive director Paul Khong says the office market is also seeing more new developments including the advent of a new generation of green buildings. Generally these green office spaces can fetch rental premiums of at least RM1.50 per sq ft on top of the average rates of RM5 to RM6.50 per sq ft.
New office buildings to be completed this year include Menara Waqaf with 340,000 sq ft of net lettable area, Menara Worldwide (275,000 sq ft), HSBC’s new annexe building (129,000 sq ft), BRDB Tower (223,000 sq ft), Capital Square Office Tower 2 (600,000 sq ft), Menara Kencana (255,000 sq ft) and One Mont Kiara (380,000 sq ft). Potentially adding to the future supply is a 100-storey skyscraper in Kuala Lumpur proposed by Permodalan Nasional Bhd. IGB Corp Bhd is awaiting approval to build two high-rise office towers totaling 600,000 sq ft in the last phase of its Mid Valley City development. Construction may commence in early 2010 for completion in three years. Khong adds that the local commercial real estate market is seeing growing interest from overseas institutions. Comprising mainly Singapore, Australia, German and South Korean funds, he says they are keen in shopping malls and office buildings that are leased to good tenants. Khong says office rentals are expected to remain competitive this year in view of the 2.4 million sq ft of new supply expected to be completed this year in Kuala Lumpur. As of fourth quarter 2009, the cumulative supply of Grade A office space in the city stood at around 29.9 million sq ft.
MALAYSIANS generally have quite poor maintenance practices and culture when it comes to public facilities, which explains why there are many dilapidated and neglected public places around. From parks to beaches and rivers, it is common to find them in a state of neglect and unkempt with rubbish and other unsightly objects. Take our beaches and rivers for example. Their condition is far from the picturesque scene that we see in postcards, which usually show pristine clear blue water lapping up sandy beaches or winding down green meadows and lawns. Many of them are very unsightly and have been severely polluted with debris and all kinds of pollutants. So, when the Selangor government announced that it is planning to rehabilitate and develop the Klang River by appointing four companies to undertake the project two weeks ago, those who still care about what’s going on around them must have been relieved to know that help is on the way to salvage the 120km river that meanders from Klang to Shah Alam, Subang Jaya, Petaling Jaya, Kuala Lumpur and Ampang Jaya. Its objective to rehabilitate and clean up the badly polluted river into a new source of water supply will earn it many supporters given that water is fast becoming a scarce resource in various parts of the country. The plan to develop its economic potential in the commercial and tourism sectors is also laudable to promote new sources of income for the people. On the other hand, there are also those who must have doubted whether such a massive and ambitious project can pull through successfully. Their doubts are understandable because the last time the proposal to clean up and develop the Klang River was made in the 1990s, nothing came out of it. This time around, Selangor Mentri Besar Tan Sri Khalid Ibrahim says the entire project to clean, rehabilitate and develop the river is expected to take 15 years and it will attract RM50bil worth of investments. Whether the project will be off to a good start and be successful at the end of the day depends on the persistency and will power of its promoter and project partners. But in this instance, the public, including the squatters by the river banks and factory operators, need to play their part by watching over and caring for the river by not polluting it further. As in all public projects, the most important criteria to ensure success is to have a strong political will to drive the project through expeditiously and efficiently. Due diligence should be undertaken to ensure the project’s viability and how best to implement it to reap greater value for the people. Instead of just stressing on the economic value to extract the maximum return from the project, it is necessary to ensure that it will also improve the people’s quality of life and living standards. There should be proper balance between the need to preserve the natural eco-system and environment across the length and breadth of the Klang River and its surrounding land; and how much to be opened up for development. Development of the river should focus on low-density projects and preferably they should be environment-friendly buildings that promote the green way of life. The projects should blend well with the natural environment and identity so that it will not be lost to development. After all, the Klang River has a long history as a busy waterway for merchants and traders during the country’s early days. To ensure the river stays clean and sustainable for many generations to come, steps must be taken to educate the people that they are also stakeholders and should uphold their responsibility as joint caretakers. Forming river watchdog groups and cleanliness awareness campaigns way before the river project takes off should be effective. If the littering and polluting persist, heavy fines should be imposed on repeat offenders who indiscriminately dump factory waste or garbage into the river. If the project is implemented efficiently, it will turn the river into a new resource for Selangor’s economy and promote more healthy and sustainable projects for the people. ·Deputy news editor Angie Ng recalls with fondness the clean streams and rivers she enjoyed with her siblings during her younger days in Penang. JOHOR BARU: The Johor property market is expected to experience growth in sales this year due to the nation’s economic recovery. Real Estate and Housing Developers Association (Rehda) Johor branch chairman Lee Kim Chai said other factors include higher employment in various sectors compared to last year. He said the higher employment rate led to stronger purchasing power for prospective buyers. “Prospective buyers should take the opportunity to buy property in the state at this point of time. “Interest rates for housing loans are also very low, and thus very attractive to buyers,” he told The Star here on Monday. Lee said property prices in Johor were comparatively low to Kuala Lumpur and Penang. “For example, double-storey terrace houses are priced between RM800,000 and RM900,000 in areas such as Damansara Utama. 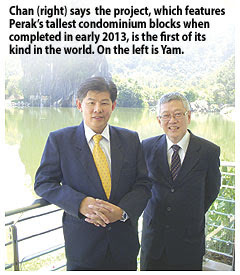 “The properties in Johor are much cheaper and thus much more attractive to buyers,” he said. 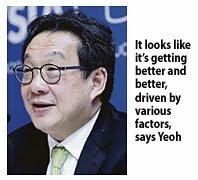 Lee noted that the sales performance of Johor’s property market is peculiar as it is also affected by Singapore’s economic climate. “We have a sizeable population of locals staying in Johor Baru who are employed in Singapore. “If Singapore’s economy is doing well a lot of locals would be working over there,” he said. He added that some Johoreans working in Singapore have plenty of purchasing power. “It is good for them to buy properties here as the exchange rate is favourable. “Most of such workers prefer to stay in neighbourhoods and townships near the Second Link as it is easier for them to get access into Singapore,” he said. 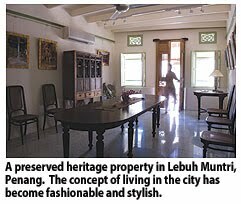 Besides Johoreans, Lee said that the Johor property market was also attractive to foreigners, especially Singaporeans. “Certain townships attract foreigners especially in Horizon Hills or East Ledang, which is near the Second Link. “The strategic locations coupled with much cheaper prices compared to landed properties in Singapore is an incentive for buyers. “Landed properties in Singapore cost millions of dollars while it only cost few hundred thousand Ringgit here,” he said. Lee said that the development of Iskandar Malaysia would contribute to the growth of property sales in the state as well. “I believe that with more foreign investments coming in and other infrastructure projects underway, the boom will benefit the Johor property market,” he said. 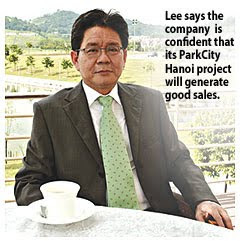 KUALA LUMPUR: Tan Sri Tong Yoke Kim, who recently emerged as a substantial shareholder in financially troubled Ho Hup Construction Co Bhd, sees potential in the company’s property arm. Ho Hup, which saw a months-long tussle between Datuk Low Tuck Choy and Datuk Vincent Lye end in the ouster of the latter and the board headed by him in an EGM on March 17, is a Practice Note 17 (PN17) company. “I’m coming in as a private investor only and don’t personally know anybody in the management or the major shareholders,” Tong told StarBiz over the phone yesterday. Tong, together with son Datuk Andrew Tong Ho San, also own a 19.27% stake in another construction firm, Bina Puri Holdings Bhd, through investment vehicle Bumimaju Mawar Sdn Bhd. According to a filing with Bursa Malaysia on Tuesday, the elder Tong had acquired 7.42 million shares, or a 7.28% stake, in an off-market deal on March 10, a week before the EGM that saw Lye and his board ousted. Low and his family own 27.23% of Ho Hup, which was founded by his father, the late Low Chee. Lye has a 27.95% stake in the construction firm. The March 17 EGM was requisitioned by Low, also a former managing director of the company, and another shareholder after disagreeing with the previous board led by Lye on the way forward for the company. Tong added that despite being a PN17 company, there was still some value in Ho Hup, which primarily lay with the property arm. Ho Hup recently signed a joint-venture agreement with Malton Bhd to develop 60 acres of freehold land the company owns in Bukit Jalil, Kuala Lumpur, into a mixed project comprising commercial and residential properties. Based on recent filings with Bursa Malaysia, Ho Hup is entitled to RM265mil from a potential RM2.5bil in gross development value from the project over a 10-year period from the approval date of the development. Tong said the investment in Ho Hup had nothing to do with his other holdings, in particular with that of Bina Puri. “This is separate from my other investments, including in Bina Puri,” he said. Meanwhile, Ho Hup director Hew Thin Chay said the board had no knowledge of the change in shareholding except from what was reported. He said the company would make an announcement soon on the appointment of an advisor for the regularisation plan. Both AmInvestment Bank Bhd and Newfields Advisors Sdn Bhd had resigned from their positions as joint advisors last Friday. “We will likely ask for an extension of time of up to six months from Bursa for the submission of a regularisation plan,” Hew said. The deadline had been extended to April 4 in an earlier announcement. Nilai Resources Group Bhd announced today that its subsidiary BBN Development Sdn Bhd plans to team up with GD Development Sdn Bhd to develop 135.52 hectares of land in Putra Nilai, Negeri Sembilan. The proposal involved a mixed residential and commercial development, the company said in a filing to Bursa Malaysia today. GD's principal activity is real property and property development. Under the joint development agreement, BBN Development will be entitled to a sum equivalent to 25.8 per cent of the expected gross profits or actual gross profits from each phase of the project, whichever is the higher. It will also be entitled to 25.8 per cent of all properties retained by the proposed development. The proposed development is expected to be completed within eight years, in which the timeframe may be extended for another two years. Nilai Resources said the joint development will allow BBN Development to leverage on the GD group's strong marketing network for the proposed development. AMRESEARCH has kept its "hold" rating on property developer Glomac Bhd, with a revised fair value of RM1.40 per share. The rating was maintained as it thinks the stock offers little upside despite a bullish outlook in the property sector. The fair value is arrived at after applying a discount of 20 per cent to its revised estimated net asset value of RM1.74 per share. "While demand for residential units should pick up from an expected growth in income and robust buying sentiment, we are neutral on Glomac's planned residential launches for fiscal 2010, which accounts for 36 per cent of planned gross development value this year," the stockbroker said in a March 23 report. "This is mainly because its launches are not appealing, although modest pricing could entice first time buyers and those from a lower income segment," it added. However, Glomac's shift to commercial development is showing positive results, it noted. AmResearch was somewhat surprised by the strong sales for the developer's commercial venture in Cyberjaya, which has an estimated GDV of RM205 million. While phase 1 of the project has a 70 per cent take-up, phase 2 was sold out. 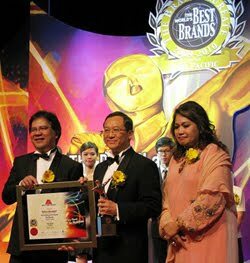 Likewise, Glomac Damansara was well received despite a glut in supply of retail and commercial space within the vicinity. "Given Glomac's knack in securing en-bloc sales for its buildings, we are not ruling out more such deals. It is looking to sell a few more buildings at Glomac Damansara with enquiries for its corporate tower in Plaza KJ4," the report said. It is up to the state governments to give available empty lots in their planned land use to second generation Felda settlers, said Prime Minister Datuk Seri Najib Tun Razak. In a written reply to Datuk Azalina Othman Said (BN – Pengerang), he said the Government never broke its promise in providing land ownership. “Up till now, there are as many as 112,635 settlers in the country and 75,747 or 67.3% had been given ownership titles. A total of 36,888 or 32.7% of settlers have not receive the titles,” he said. As of March 1, 13,264 ownership applications had been sent to state governments for approval, he added. Najib said every Felda settler was allocated 4ha of land for farming and about 0.1ha for their living quarters. According to the agreement between settlers and the state government, settlers were given land ownership documents when they had repaid the development costs that the Government had initially forked out for them, he said. The development costs included that for jungle clearing, estate development, foundation preparation and building houses, and taxes, Najib said. 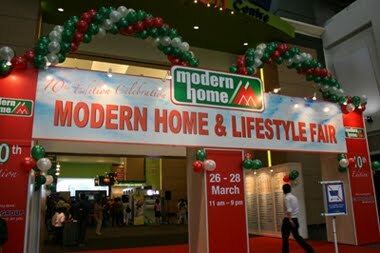 The 10th edition of the Modern Home & Lifestyle Fair is currently held at Mid Valley Exhibition Centre from March 26 to 28. There are approximately 250 booths spanning 3 halls featuring security systems, mattresses, furniture and furnishings, landscaping, banks, massage sofas and interior design firms, amongst others. According to the exhibition’s project director Charles Yong, the exhibition is expected to attract 70,000 visitors. “Even in the first hour, the response was good. There were 100 people waiting outside when we opened at 11am,” Yong said. Yong explained that the10th edition is also referred to as the appreciation edition where prizes are given for purchases. 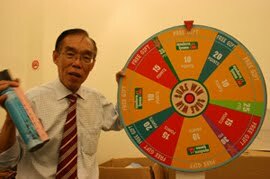 Visitors with purchases of RM200 and above in a single receipt will be entitled to one spin at the ‘Spin & Win’ wheel, while two spins are accorded for purchases above RM1,500 in single receipt. The prizes are valued between RM25 and RM1,600. “There are a lot of prizes such as stainless steel flasks and bicycle. One 32” LCD TV will be given per day. Previous years, we have lucky draws. There was a lucky draw per night and the chances of winning are one tenth to get one of the fifty or sixty prizes. This exhibition’s appreciation edition, we have more than 6,000 prizes,” Yong enthused. “The main exhibitor is LG. Other key exhibitors include Alfo (lights) and Kian Classic (interior design),” Yong explained. He commented that the exhibition features various new technologies such as cleaning and mopping using robot, cooking with high tech halogen light and doors incorporating high security features while retaining its aesthetic appeal. One of the interesting products is the ANABESS BioClean laundry ball. It claims to be scientifically designed to clean laundry without detergent. Another worthy mention is the Cozzia massage sofas, which is distributed by Ogawa World Berhad. Ogawa’s general manager for home funishing division Dato’ Eddy Sik said that Cozzia was launched in Jaunary this year and the response has been very encouraging as Cozzia sofas are the only sofas that offer basic massage functions in Malaysia. The massage sofas are made from Italian leather and only the single seater incorporates basic massage functions. The Modern Home & Lifestyle Fair is organised by Cyan Event Management, the same organiser as the ONE Australia Property Fair held in early March. GOLDIS Bhd, a private equity investment company, expects three-quarters of its GTower building in Jalan Tun Razak, Kuala Lumpur, to be occupied by January 2011. The 30-storey office building, which comprises offices, a 180-room business hotel and a club that caters to its guests and tenants, has a built-up of 1.4 million sq ft and over 800,000 sq ft in nett lettable area. "We have confirmed occupancy of 48 per cent," Goldis' head of corporate investments Colin Ng said. The tenants, mostly from the oil and gas and Multimedia Super Corridor (MSC)-status companies, moved into the building in late January this year. The rental at GTower including service charge is RM7.50 per sq ft. The tower has also allocated 0.4ha for a food court, which is scheduled to open in September. 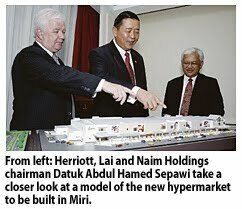 It was reported that construction of the food court will cost some RM470 million. 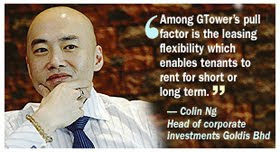 Ng, who expects return on investment to take between seven years and eight years, said that among GTower's pull factor is the leasing flexibility which enables tenants to rent for short or long term. GTower, the first international green rated office building in Malaysia, has 10 units of cube, which measure between 120 sq ft and 280 sq ft per unit. It accommodates one to three persons. "It is suitable for start-ups and for short-term use," GTower Sdn Bhd manager of business offices operations, Lucia Micheal said. The building also has nine units of flexible offices measuring between 1,250 and 2500 sq ft. These units are fully fitted and suitable for short-term use and projects, particularly those who do not want to invest much to fit out an office. It can comfortably accomodate 20 people. GTower also has duplex units which are designed to allow maximum amount of light to filter in. Other pull factors include its MSC-status. Its provisional MSC status will soon be converted to a full MSC. "The building has been designed efficiently in terms of size and tenancy terms. We can allow the tenants to expand and provide contracts according to their needs," Micheal said. Its green building initiative also enables it to save as much as 23 per cent in electricity. The hotel, to be called The G City Club Hotel, occupies three floors of the building. Scheduled to open in May 2010, it expects an average room rate of RM400 and an occupancy of 75 per cent in the first year of operations. The Club, which is scheduled to open at the same time as the hotel, measures 10,000 sq ft. All hotel guests and chief executive officers of companies located in the building will receive club membership. "It will be run like a business club," Micheal said. The building also features two salt water swimming pools. The 10th edition of the Modern Home and Lifestyle Fair to be held at the Mid Valley Exhibition Centre, Kuala Lumpur, from Friday to Sunday, will showcase more than 300 booths by 100 exhibitors. BW Cyans Advertising Sdn Bhd project director Charles Yong said the consumer fair promises to be a wholesome event for all home owners, featuring things from kitchen appliances to landscapes designs. "We have something for everyone. Everyone who owns a home should come and visit this fair," Yong told the Business Times recently. The fair will have a wide variety of latest brandname products on display such as Alfo, Benova, Ogawa, Turn Design, Mormarks, Luzzone Gallery, Kenwood, Elegant Concept and Mattressworld. "We expect close to 80,000 visitors and a sales target of RM15 million this year," he said. Besides the latest on home appliances, those wishing to renovate, refurnish or decorate their homes are urged to visit the fair. "We will also have interior designers at the exhibition, who will give free consultation for the first 20 minutes. Consumers are advised to bring their floor or building plan over if they want to get expert advice from these interior designers," he said. Yong said the fair will also have a host of exhibitors ranging from furnishings to fittings, kitchen and bathroom, door and window, home entertainment and home and decoration. Shoppers who purchase over RM200 and above in a single receipt will be eligible to participate the spin the wheel contest for a share of over RM120,000 worth of prizes including 32" branded LCD TV's, folding bicycles, imported table lamps, designer umbrellas and much more. Entry is free and the fair will be open from 11am to 9pm.